Saturday was the first official practice for everyone other than pitchers and catchers, but many players have been working out at Salt River Fields for more than a week. Showing up early to camp is a standard practice, but the spacious new facility made it an even more attractive option this season. “New” seems to be the theme this spring. With the new facility, new coaching staff and the infusion of new veteran faces in the clubhouse, it may be easy to overlook guys like Krauss and the fresh crop of prospects that are appearing in big league camp for the first time. Young players like Krauss and Goldschmidt, teammates at Class-A Advanced Visalia last year, are taking advantage of every opportunity in big league camp. While soaking up the experience and taking cues from veterans, the younger guys hope to gain an advantage that will help propel them to new levels throughout the upcoming season. After just the first day of full-squad workouts, it appears the D-backs roster is happy to get baseball season started. Despite the overcast skies and impending threat of rain throughout the morning, it certainly was not hard to find guys laughing and smiling. 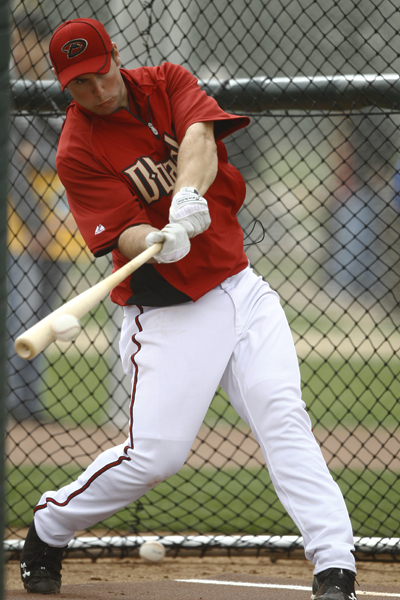 With their second pick of the second round of the 2009 Draft, the D-backs chose outfielder Marc Krauss from Ohio University. There were some concerns about Krauss, a sub-par defender who made a career of hitting unknown pitching in the Mid-American Conference with aluminum bats. In other words, scouts saw that Krauss would need to make his way to the majors with his bat, and that he would have to adapt quickly to more advanced pitching and still maintain his power with wood. Essentially, it’s those types of questions that differentiate a first-round pick from a second-rounder. But Krauss was also a polished college hitter who many thought could be a quick riser if his bat translated well to professional ball. And that indeed has proven to be the case with Krauss, whose power translated immediately to professional ball after being assigned to full-season South Bend right after signing. 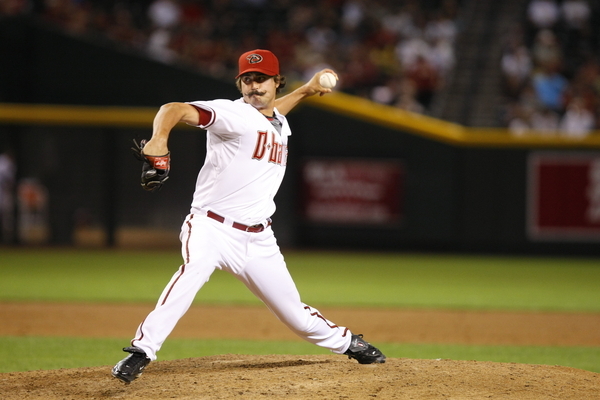 There, Krauss compiled an .855 OPS in the pitcher-friendly Midwest League, where the average OPS for 2009 was .702. Krauss had a .304/.377/.478 line with 12 doubles, a triple, and two homers in 115 at-bats, with a solid 21:14 K:BB ratio, and was the best hitter for the Silver Hawks down the stretch and into their playoff run. 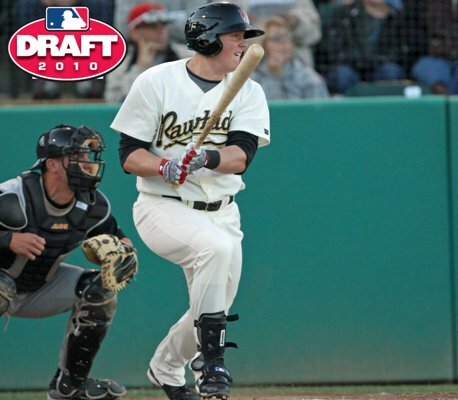 To begin 2010, Krauss was assigned to Single-A Advanced Visalia, in the hitter-friendly California League. Krauss started the season on fire, maintaining an OPS over 1.000 well into the season, but has slumped of late, with his OPS falling down to .815. Still, it’s a respectable overall number, considering the fact that Krauss is right about league-average in terms of age, where he was a month ago, and that the current average OPS is .749. Because of the slump, Krauss has fallen behind teammates Paul Goldschmidt and Kyle Greene for the team’s OPS lead. However, Krauss’ 45:23 K:BB ratio is still solid, and he has 18 extra-base hits on the season amongst 54 hits overall, so he certainly is still producing for the Rawhide. If he can regain his powerful stroke at the plate, he could continue his quick ascension through the system, possibly filling a hole in left field on the Major League club in a few years.